Is there a light level display and full bright mod for Rift that anyone knows of? Like is there a list of Rift compatible mods somewhere? Um may I get help? I am using Shiginima Launcher, and when I select the Rift profile, it just keeps showing "Loading versions", is there some way to fix it? Hi, I'm trying to install the snapshot version of Rift linked from the VoxelMap page, and the .jar downloaded from there runs and seems to install correctly (it shows the installation complete dialog and I can launch Minecraft and see the new version installed), but once I try to actually run the created profile, I get the error below. But, the newest "release" version of Rift from CurseForge installs and the profile runs without a problem, and my friend was apparently able to install that snapshot version. 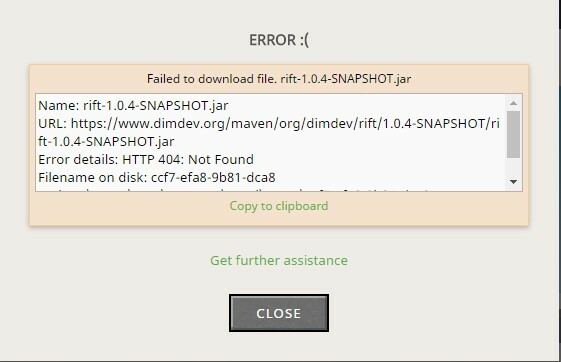 dimdev.org's list of files doesn't have anything titled 1.0.4-SNAPSHOT, and the link the error below shows indeed leads to a 404. Any tips? Some questions as I've visited this and made a few test mods. How do you feel on Chocohead updating Rift to *.13.2? Also your mods show up in resources and the game treats them as datapacks, intentional or are you perhaps planning on adding a menu with the mods installed on it? Only to respond to this since Rune isn't around atm, we don't mind that Chocohead updated Rift to 1.13.2 as he is now a part of Dimensional Development (the team Runemoro is a part of), and once Rune returns to our Discord after he is done dealing with college, Chocohead will most likely be working with Rune on the future of the project and keeping updates going. As for why mods show up and are being treated like datapacks, realistically, that's how Vanilla works with loading resources. Forge does the same thing, except they hide that from the menu to prevent clutter (we'll probably find a way to fix that later on). As for the menu with mods installed, we do have a separate branch with a feature like that somewhat implemented, we just need to render out the mods loaded, but otherwise, it might get included in the next version release. Thanks for the reply! Just one more question, if allowed. How could I make a mod with Choco's version? I'd assume I'm missing something here, or I'm thinking too hard on it. If you go to his fork, his README.md file should tell you what to do to get gradle to setup. Otherwise, it lists what has changed from the 1.13 to 1.13.2 versions and you can follow our mod creation guide from there. 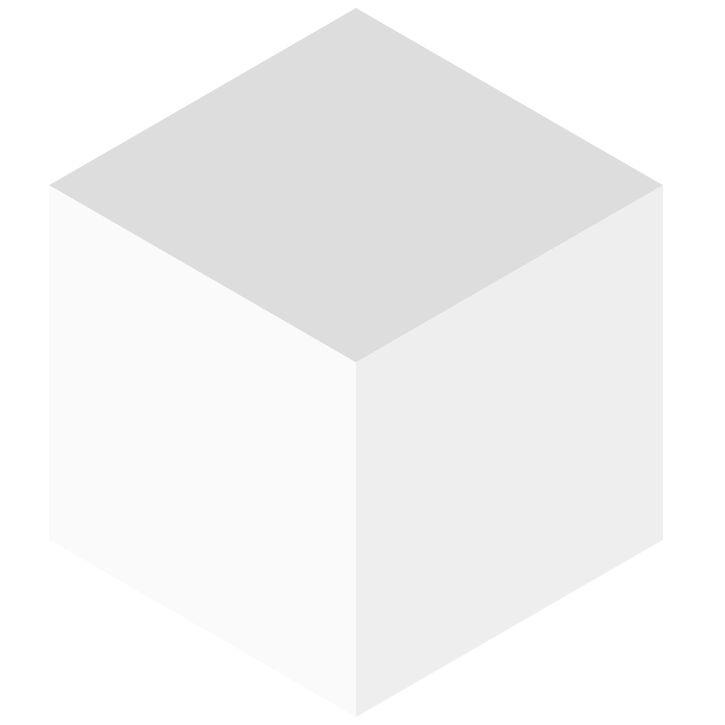 Or just grab the Rift MDK from the DimDev GitHub repo and go from there. When I select rift's profile and click to play button, it changes automatically to Default profile. I'm using last version (Rift 1.0.4-66), playing in 1.13, and followed the "Installation instructions" above. PD: It happens without mods, then i tried with optifine 1.13 and still does not work. OptiFine 1.13 HD U E4 crashes on rendering of world. Also look for a a 1.13.2 version. Edit: Maybe the problem is the URL in the log, because, like the log says, you get a 404 Error. So I was excited to dive into 1.13 but not without my trusty mini map mod which now uses Rift. After a Java update I got it to supposedly successfully install or at least the window popped up telling me so. Opened minecraft and I had a Rift snapshot of 1.13. Opened that as my instance of Minecraft to play and it doesn't look like the mod installed at all. I still have the vanilla Minecraft menu I don't see a Mods selection. I start up a world (just to see if my mod was working) and it wasn't. Is there something I did wrong or is this an on going issue people have been having.